Camomile is a daisy-like plant belonging to the Compositae family. 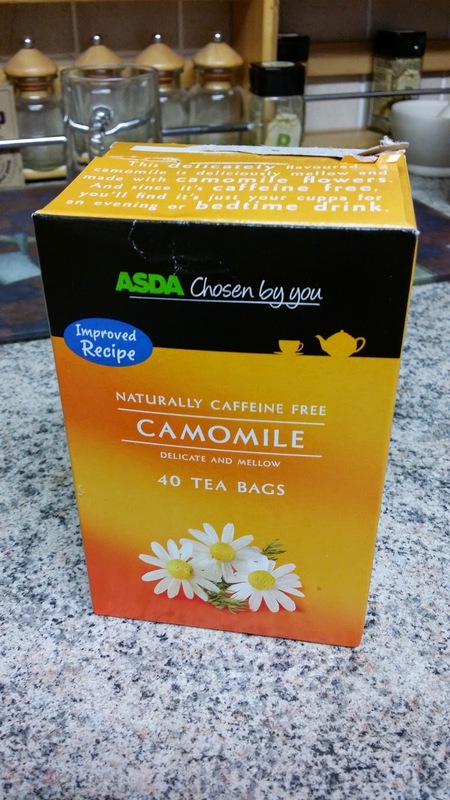 Camomile is commonly decocted into water to create a tea that has relaxing properties. Camomile contains a complex mixture of chemicals including the flavonoids, sesqiterpenes, terpenoids, phenylpropanoids and coumarins. Although not fully characterised, it is known that certain chemicals within camomile bind to GABA receptors in the brain. These receptors decrease the excitatory neuronal pathways in the brain, and this explains the calmative effect reported following consumption of camomile. The thyroid gland produces thyroid hormones. The thyroid hormones are designated T4 and T3. The T3 thyroid hormone is the most active and is the main stimulatory of metabolic activity in cells. In contrast, T4 is relatively inactive, but can be converted to T3 in the liver, thereby increasing its effects. The amount of circulating T3 therefore has important consequences for weight loss and in the maintenance of correct body weight. A number of dietary conditions are known to cause low thyroid hormone production. One of these conditions is a deficiency of the essential mineral iodine. Iodine is important for thyroid hormone production because the mineral makes up part of the structure of the thyroid hormones. Low levels of iodine in the diet cause goitre, a condition where the thyroid gland swells. This used to be called Derbyshire neck, on account of the high prevalence in the county of Derbyshire. However, iodine deficiency is now exceedingly rare in Western nations and goitre is consigned largely to the medical textbook. However, although it is unlikely that a dietary deficiency of iodine will develop thanks to the addition of iodine to table salt, other dietary factors can produce sub-optimal thyroid function. Dietary goitrogens are substances that interfere with thyroid hormone production, and they are more common in the average diet than might be considered. The cabbage family of vegetables includes the cabbage, broccoli, watercress, kale (collards), brussel sprouts and cauliflower. These vegetables are very beneficial for the health because they contain anti-cancer compounds. Recommendations are therefore to eat more of this family of vegetables in the diet. However, the cabbage family also contains goitrogens and in this regard some evidence suggests they may interfere with thyroid function. The goitrogens in cabbage family vegetables can be deactivated through cooking. Eating the cooked products of these vegetables is therefore safe and will not cause thyroid problems. However, evidence suggests that moderate consumption of raw cabbage family vegetables does not cause thyroid problems in normal healthy individuals with adequate iodine intake. Therefore eating raw cabbage in salads for example should not be a problem if moderated. Celery is a member of the the same family of vegetables as the carrot, parsley and fennel (the umbelliferae family). Modern celery is derived from a wild variety that was native to regions adjacent to the mediterranean sea. Celery has some important nutritional qualities. In particular celery is a good source of vitamin C, potassium, folic acid vitamin B1 and vitamin B6. It has been pointed out that celery contains a higher quantity of sodium that many other vegetables, and this is true. However, the high sodium content is balanced by an even higher potassium content. The fact that the potassium content is higher than the sodium content means that celery will not raise blood pressure even in those small number of people who are sodium sensitive. As well as being nutritionally interesting, celery also has some interesting medicinal properties. In particular celery contains high amounts coumarin compounds that may have blood pressure lowering effects. One of the coumarin compounds in celery, 3-N-butylphthalide, has been shown to lower blood pressure. Animal studies have shown that daily consumption of celery not only lowers blood pressure, it also results in reductions in plasma cholesterol levels. However some of the blood pressure lowering effects of celery may be due to the very high potassium levels within the celery. Either way, as the side effects of eating celery are non existent, anyone who wishes to lower their blood pressure may wish to try celery. Eating around 3 to 4 sticks of celery may improve raised blood pressure reading, and will also improve the quality of your diet. Lecithin is a good source of choline. Choline is an important nutrient in humans and may be essential. Choline is classed as part of the B complex of vitamins. Choline is present in the diet in its free form (not attached to anything), and this is absorbed from the gut where it then accumulates in the blood. Here it acts as a reservoir to raise brain levels of choline, which in turn is synthesised into acetylcholine, an important neurotransmitter involved in movement and memory. Choline is also required to metabolise fats in the liver. Lecithin is a source of choline present in the diet which can be found in some foods such as eggs. 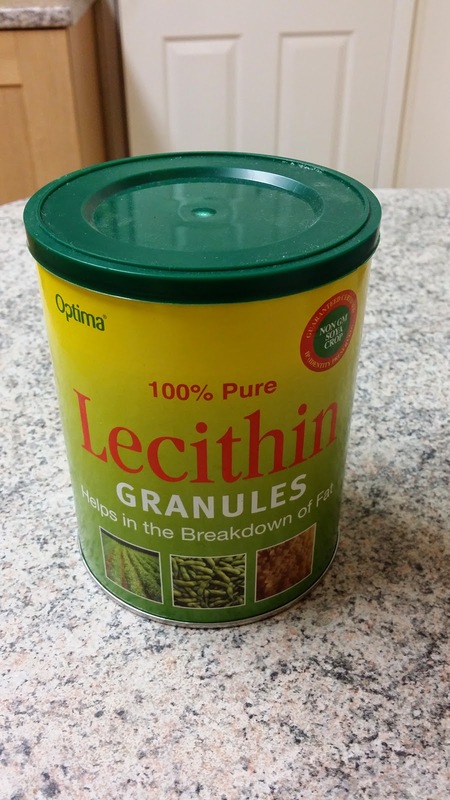 Lecithin is actually choline containing phospholipid (choline joined to two fatty acids and a phosphate molecule) and is often synthesised into granulated supplements, the source of which is usually soybeans. High intakes of free choline in the diet only result in transient increases in blood levels of choline and so a frequent intake is required to maintain blood levels. In addition, some of the free choline ingested is degraded by gut bacteria and so is never absorbed. The product of this bacteria degradation is trimethylamine, which can produce a fishy odour for the individual consuming it. However, because lecithin is not degraded by bacteria in the gut it is a good way to avoid this problem. In addition, lecithin raises blood levels of choline to a greater degree than free choline and these elevations can last for up to 8 hours (compared to 3 for free choline). Lecithin is therefore a superior dietary form of choline compared to its free form. Apricots are not a commonly eaten fruit in Western countries. Nutritionally they are classed as a drupe, which means they are a one-seeded fruit with the single seed inside a stoney pit and surrounded by flesh. Apricots therefore come from the same family as peaches, nectarines, plums and cherries. 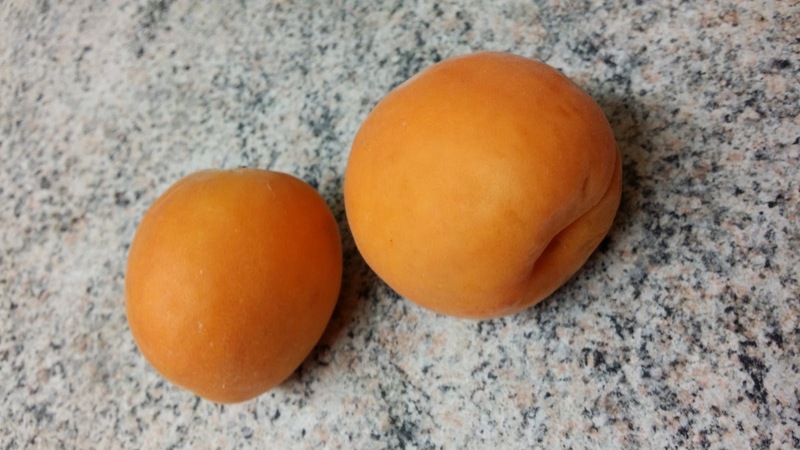 As well as being a good source of micronutrients including potassium, apricots also contain carotenoids, which accounts for the orangy yellow colour of their flesh and skin. The carotenoids in apricots include lycopene and lutein, the former being most commonly associated with tomatoes. The high concentration of carotenoids suggests that apricots may protect from cancer, as lycopene in particular is associated with a reduced risk of prostate cancer. Dried apricots contain the same levels of carotenoids as fresh apricots, but are preserved by addition of sulphites. Those sensitive to sulphites should therefore stick to consuming the fresh fruit. ﻿It is a fact that some fruits are bitter tasting. Rhubarb is one example, but there are others such as damsons and lemons. The temptation when cooking with such fruits is to add sugar to the recipe to counteract the bitter taste. However, the addition of sugar to foods such as rhubarb, especially if cooked in a pie with white refined flour, will likely negate the benefits brought by the nutrients in the fruit. Addition of custard adds more sugar and eating these types of food regularly will not improve your health. An option would be to use other fruits to sweeten the bitter fruits. 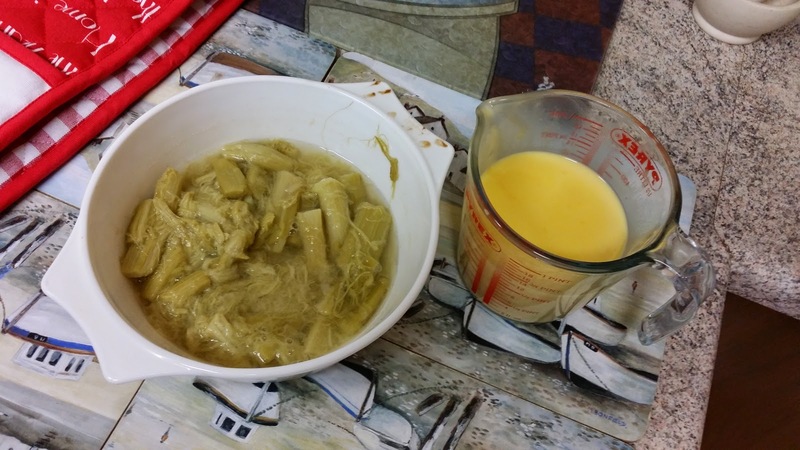 Using cream instead of custard will also lower the sugar content of the food. If these options are too daunting, and you absolutely must eat sugar sweetened fruit and custard, make sure you consume the meal containing the foods after a workout. This way the fructose in the sugar will be much more likely to be converted to liver glycogen and much less likely to be converted to fatty acids. High intakes of fruits and vegetables are known to be protective of disease, although the exact reason for this is not known. However, it may relate to the phytonutrients contained within plant foods. Most people in developed nations consume a typical Western diet that is low in whole plant foods, including fruits and vegetables, and high in animals products and processed and refined foods. Such a Western style of eating is now considered a major driver of lifestyle disease such as cancer, cardiovascular disease and type 2 diabetes. Eating a traditional diet that contains more plant foods is protective of disease, and some people may be interested in abandoning the Western diet to adopt a diet based on more traditional eating patterns with higher intakes of fruits and vegetables. Faced with this change, many are unsure as to which fruits or vegetables to eat and how to prepare them. In answer to this I can only say that the best strategy is to eat a large variety of different fruits and vegetables. The greater the number of different kinds of plant foods the better. Try to incorporate as many colours into your diet as possible from plant foods, as this will increase the range of phytonutrients absorbed and widen the protective effect of the diet against different diseases. As for preparation, it really doesn't matter how they are prepared as long as it is to taste and they remain close to their whole state. Juicing fruit and removing the fibre for example is no better than consuming soft drinks according to studies. Some evidence suggests that certain preparation methods for vegetables are better than others for retaining nutrients. However, the reality is that while steaming might produce slightly better nutritional profiles than boiling, eating any plant foods is a big improvement over a Western diet and if the intake is high enough even sub-optimal preparation methods will provide some benefits. Taurine is a derivative of the amino acids methionine and cysteine. It is not like other amino acids because it contains a sulphur atom where normally the carboxylic acid group would be situated. Taurine is essential in some animals such as cats, but not humans. Taurine can either be synthesised endogenously or derived from dietary sources. Unlike other amino acids taurine is not utilised in protein, but it does have some other interesting properties. Taurine appears to play a role in cellular charge and in this regard is an important regulator of cell membrane stability. In particular taurine may play a role in maintaining the stability of the heartbeat and protect brain cells from over excitement. Its membrane stabilising properties may also make tauring essential for correct vision. Studies have shown that the ability of taurine to stabilise brain cell activity may make it useful at reducing seizures in epileptics. Taurine intake from food can vary depending on the content of the diet. Estimates of intake vary from around 500 mg per day to up to 2500 mg per day. Cottage cheese, cheese, granola, wild game, pork, milk, turkey, yoghurt and eggs are all good sources of taurine. Concentrations of taurine are generally much higher in animal than plant products and so those with a high animal protein intake likely consume significantly more taurine. Supplements of taurine are available from health food stores. Studies investigating the effects of taurine supplements on congestive heart failure have shown that between 1 and 4 grams of taurine are effective at improving the condition. In addition, taurine may have blood pressure lowering effects. Therefore its ability to regulate heartbeat and cause reductions in elevated blood pressure may make taurine an effective cardioprotective nutrient. Another role for taurine may be the ability of the amino acid to increase the oxidation of fats from the liver. Fatty liver can be caused by overconsumption of either fructose or ethanol. As fats accumulate in the liver they cause metabolic damage and this can over time lead to cirrhosis of the liver. Taurine may be able to prevent this damage, as animal experiments have shown the ability of taurine to reduce the severity of fatty liver in mice.